The IT student Linus Kiener founds, as part of the start-up project «Smart-up» of the Lucerne University of Applied Sciences and Arts (HSLU), together with you the company Diginvent Gmbh, which develops and distributes the internet platform and software «Dopolino». Diginvent GmbH is based in Rotkreuz, Canton Zug, Switzerland. Linus Kiener and you have a joint signature at two of the Diginvent GmbH. With the «Dopolino» platform and software, day nurseries can record the data of the children they care for and their parents, coordinate the division of the children into groups and administer the day nursery (payroll accounting, settlement of care fees). The «Dopolino» software is not loaded onto the customer’s PC, but Diginvent Gmbh provides the customer with a user name and a password with which they can log on to the platform www.dopolino.ch and use the software on the Diginvent GmbH server or the server of one of its partners. Such a computer program with such use is called «Software as a Service» (SaaS). The data entered at «Dopolino» are thus also stored on the server of Diginvent GmbH or its partners. 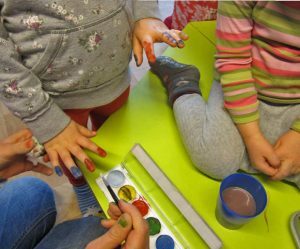 A license for the software «Dopolino» for the administration of a maximum of 20 children costs CHF 200.00 per month. The amount must be paid in such a way that it is credited to the account of Diginvent GmbH at the latest on the last day of the month preceding the licence period. The licence must be concluded at the outset for a period of at least six months. Thereafter, the license can be terminated with a notice period of three months to the end of each month. As a partner at Diginvent GmbH, you will deal with business and legal issues. In the following, it is also your task to draft a model contract for the licensing of the described platform and software «Dopolino». The draft should contain the five most important clauses, it should be simple, but ready to be signed.